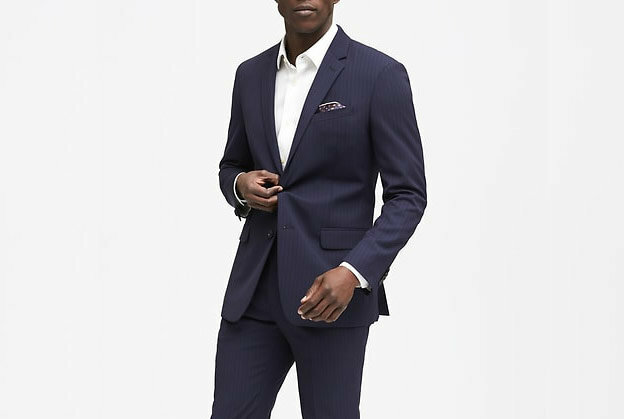 Blue linen-cotton blend tapered slim-fit trousers from Boss Hugo Boss featuring a mid rise, a waistband with belt loops, a concealed front fastening, rear welt pockets and a regular length. Grey linen-cotton blend tapered slim-fit trousers from Boss Hugo Boss featuring a mid rise, a waistband with belt loops, a concealed front fastening, side pockets, rear welt pockets and a regular length. Blue denim jean trousers from Boss Hugo Boss featuring a waistband with belt loops, a button fly fastening, a five pocket design, a straight leg, a distressed finish and a brand logo patch on the waistband. Medium blue denim jean trousers from Boss Hugo Boss featuring a waistband with belt loops, a button fly fastening, a five pocket design, a straight leg, a distressed finish and a brand logo patch on the waistband. Dark blue cotton-blend basic trousers from Boss Hugo Boss featuring a waistband with belt loops, a button and zip fly, a dropped crotch and rear pockets. This item is true to fit. Dark blue denim casual trousers from Boss Hugo Boss featuring a waistband with belt loops, a button fly fastening, a five pocket design and a brand logo on the waistband. Black denim jean trousers from Boss Hugo Boss featuring a waistband with belt loops, a button fly fastening, a five pocket design, a bootcut style and a brand logo patch on the waistband. Grey cotton blend tailored design trousers from Boss Hugo Boss featuring a mid rise, a waistband with belt loops, a concealed front fastening, side slit pockets, a straight leg and rear welt pockets with ribbon detail. Black wool slim tailored trousers from Boss Hugo Boss featuring a waistband with belt loops, a concealed front fastening, side pockets, two back buttoned welt pockets, creases and a regular length.